Following rejection of a microgrid by Carson, California, Craig Wooster, manager of the Stone Edge Farm microgrid, urges the industry to join forces to create standards and better educate communities about the value of the technology. The City of Carson was given the opportunity to participate in a $10 million grant provided by the California Energy Commission towards the construction of a microgrid community to be built in Carson, Calif. Inefficiencies, miscommunications, and a lack of standardization within the microgrid community led the City of Carson to lose this major opportunity. County staff made comments regarding the complexity of the project as well as a lack of understanding regarding batteries. It is evident the proposal’s energy consultant did not clarify the necessary details with the council, including the cost perspective of the PPA [power purchase agreement], a simple method of overcoming need for additional cash to support the grant. This would have given Carson much needed relief in their utility bills. Clear communications and cohesion are essential in the successful completion of any project. Their importance is amplified as microgrids as a whole are an unfamiliar field for Carson’s City Council. Communications which should have been directly delivered to city council members were redirected and later misread. This lack of cohesion in how information was represented led to the project’s delay. Industry standards are needed to effectively communicate the many aspects of microgrid projects and establish a direct line of contact with key decision makers. There is a lack of expert resources in the construction and management of microgrids industry-wide, and without a consultation panel to redirect misled parties, projects like Carson, don’t have a standardized, familiar technical resource to reference when complications arise. The Carson Effect describes the loss of a promising project due to significant shortcomings within the microgrid industry. We must begin to speak with a common voice. The Carson Effect is the result of an industry that is divided and without standardization. Together with consistent reporting mechanisms, standardization across technological definitions, and a common understanding of microgrids, unity will be achieved in the microgrid community. To support our industry, we should focus on a flexible microgrid roadmap for clients. 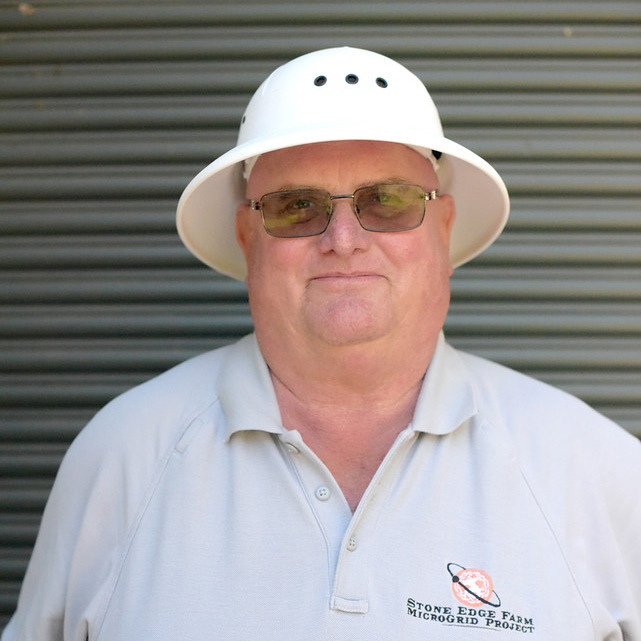 We must provide guidelines for potential customers to educate themselves. Microgrids often contain components from many vendors, which can create confusion with respect to how these technologies work together. To increase competence, the establishment of common technology pairings is recommended to demonstrate the cohesive nature of a microgrid project in a streamlined simple manner. We should avoid competition amongst one another as industry drivers and collaborate to make the best solutions for customers. C&I clients are less likely to adopt projects that are not clearly laid out and explained. They are also unfamiliar with the economics of microgrid projects, a large sticking point for projects. We need to begin approaching potential clients with a building block approach. By nature, microgrids are simple to scale up. 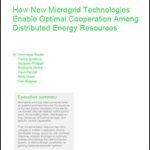 Clients should be made aware of the stackable implementation of the various components of microgrids and the ease in which they can be collectively assembled. We understand there have been efforts towards collaboration through industry partners to simplify the microgrid implementation process. As this is a challenge to most distributed resources, efforts have been most notable on the controls side. Standardizing controls and the “languages” that connect DERs is one of the biggest steps forward to create a building block approach for microgrid customers. There is a lack of expert resources in the construction and management of microgrids industry-wide. We have insufficiently educated microgrid hosts on the benefits of the technology. Consequently, they are confused and lack the ability to understand the simplicity and viability of microgrids. We must assemble a list of “competent authorities” who will be able to advise microgrid hosts on the complexities and norms of microgrid development. When a grant is issued, there needs to be funds allocated for the host to retain microgrid experts whose role is to advise and educate. As an industry, we must take responsibility for failed, stranded, and non-operational projects through a microgrid project fund and a response team. In closing, I suggest a microgrid workshop to bring key industry players together. This would allow us to begin the process of working out details on the future of microgrids. The Stone Edge Farm MicroGrid Project is excited to work together as an industry and make microgrids more viable and successful for all. Craig Wooster is a general contractor and project manager of Stone Edge Farm microgrid project, an open IP project and a microgrid systems testing platform in Sonoma, Calif.